We will meet Saturday morning in Ohiopyle, PA near the put-in to the Lower Youghiogheny, about 11 am. After getting geared, setting shuttle, and purchasing bus passes, we will warm up with ferrying and roll practice below the 18 foot Ohiopyle Falls. The group then heads down the 7 mile run, stopping to scout or play in holes and waves. You should bring a lunch to eat on the river. We will take out in early evening and get dinner at a local restaurant and then head back to the campground. Sunday will start earlier, to get redemption or try new lines, as we aim to be off the river by 2 pm to drive home. 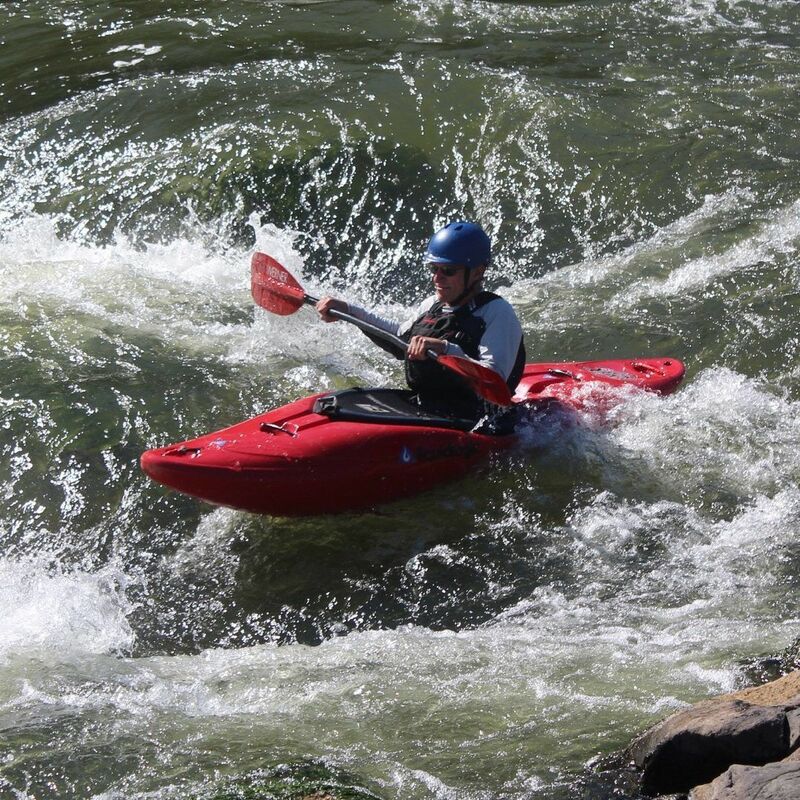 This may be your first whitewater weekend trip but you will see all kinds of paddlers out on the cool waters of the Lower Yough in the summer: veterans, families, playboaters, and pros alike! 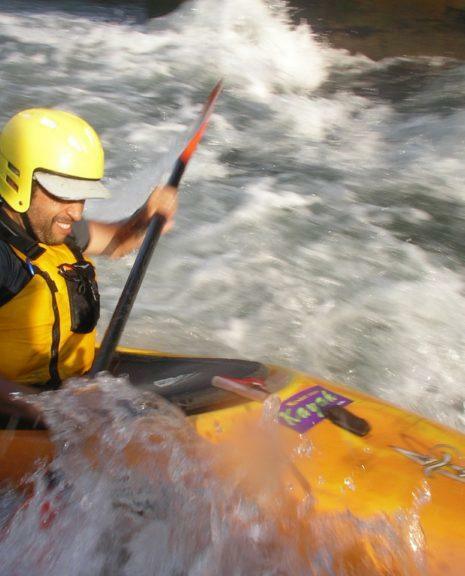 About a 4 hour drive from the Washington area, this classic, class III run is great for intermediates and offers a chance to attempt your first advanced (class IV) rapids. Students should have an emerging whitewater roll and ability to control your boat in class III whitewater. 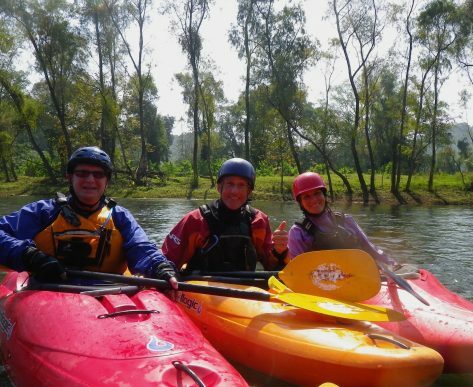 You will need to maneuver consistently among rocks, and should be fit enough to paddle the 7 miles of continuous rapids. The play is also very good, but be prepared for refreshing water, as all the water comes from the bottom of a large dam about 10 miles above the put in. Students will be challenged to scout a line, make eddy turns when necessary, surf and combat roll. A paddling trip wouldn’t be complete without a roaring fire to share stories of the day around. This is the culminating trip for the Intermediate PLP program or can be taken separately. Most students provide their own transportation, boat and gear. Carpooling with the instructor is possible if you stay both days. Enjoy a weekend away this summer with Liquid Adventures!